If you’re concerned about the spice dregs, put the cloves in a tea strainer or tie them in a bit of cheesecloth. For the nutmeg, freshly grated is best, but ground will also work. If you choose ground, use slightly less. Juice the lemons and skim for seeds. 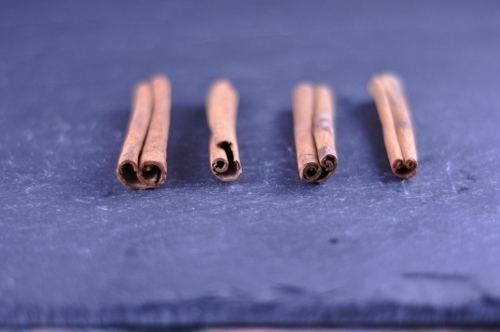 Combine the juice with the orange juice, cinnamon sticks, cloves, allspice, nutmeg, and maple syrup in a large pot. Bring to a gentle boil over medium-high heat, reduce to medium-low, and simmer for 20 minutes. 15 minutes into the simmer, bring the cider to a boil in another pot. Pour into the spiced orange juice and bring the entire mixture back to a gentle boil. Stir well before removing the cinnamon sticks and cloves. 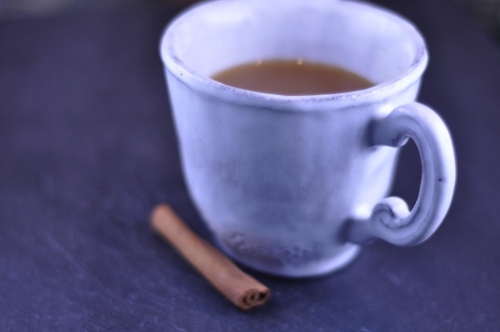 Ladle into mugs and serve with a shake of ground cinnamon. Serving a crowd? The wassail will stay lovely for several hours on the stove over very low heat. It will keep for an additional week in the refrigerator; reheat in the microwave or in a small saucepan over medium heat on the stove. Have you had the spiced cider from Trader Joe’s? That is my current straight-from-the-store cider. Mmmm. That sounds dreamy. I bet it’d be fantastic spiked, too ;). Kim - I’ve never tried it! I don’t get to Trader Joe’s very often, but I’ll keep an eye out the next time I go. Unplanned Cooking - you know, I tried a few mugs with rum, whiskey, bourbon (separately, not together) with high hopes of a fab spiked version…and in the end, I liked it better without the alcohol. Then again, I’m not wildly in love with any of those three on their own, so I might not be the best judge of spiked goodness. If you figure out a proportion you like, let me know! The Salty Spoon is powered by	WordPress 2.7 and delivered to you in 0.187 seconds using 24 queries.